A nonprofit called “My Inner Warrior” is hoping to teach kids not just how to succeed at a sport — but how to succeed in life. 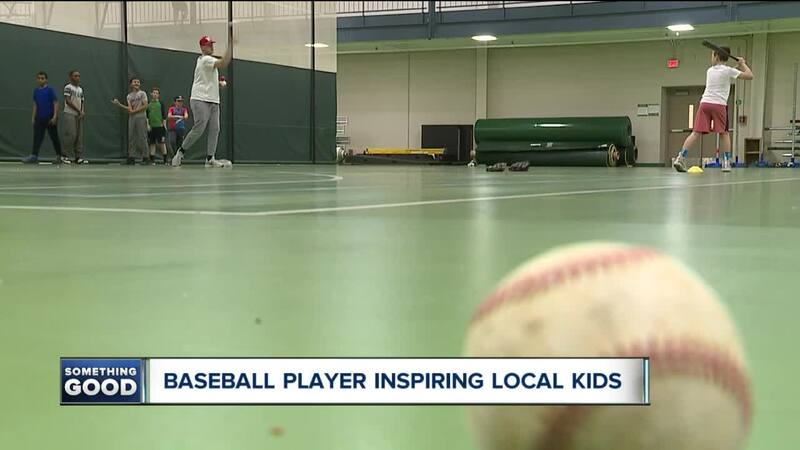 Started by Jack Hollingshead when he was just in high school, the charity’s goal is to provide better opportunities for inner-city baseball — whether it’s through training or equipment. On Saturday, working with the Cleveland Baseball Federation and the Boys and Girls Club, “My Inner Warrior” sponsored 14 kids, ages 8 through 14, to participate in a baseball clinic at Mayfield High School. Kids were able to learn basic baseball techniques or hone the skills they already have. Hollingshead, who is now a sophomore at Wittenberg University and plays college ball, said he's grateful to give back what was given to him. Shirlann Lawson, assistant director for the Walton Boys and Girls Club, said what the sport and clinics teach kids most is to keep going. “Even if they fumble, even if they fall, even if they miss it, they’re encouraged to get up and keep going and they can carry that into life,” Lawson said. In the future, “My Inner Warrior” is hoping to help with college recruitment opportunities for high school athletes. For more information on the nonprofit, click here .